Before getting into Planetary Harmonics and Bio-harmonic resonances, let us first explore the octave of visible light, that which the human eye sees, and its relation to sound. 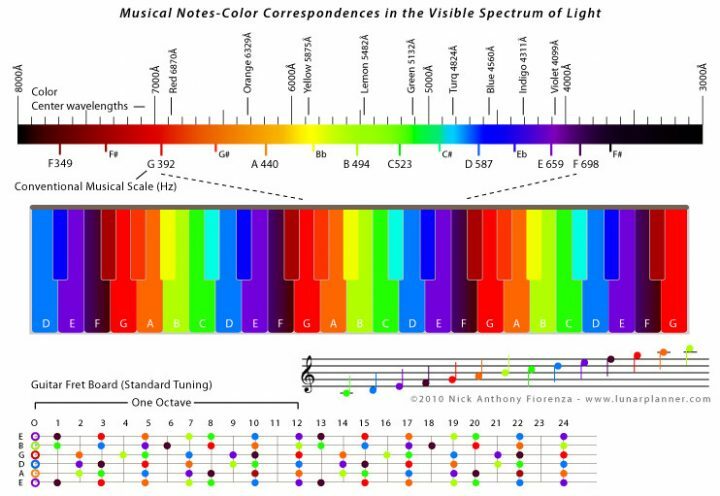 The octave of visible light, extending from the color red to the color violet, is forty octaves higher than the middle audio octave, that which you would hear on a piano keyboard. Light, however, is measured by its wavelength, whereas sound is measured by its frequency.